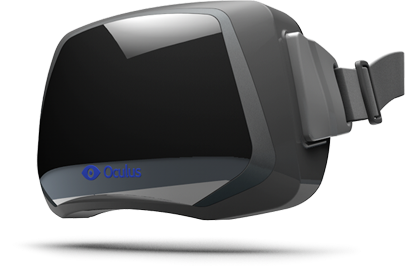 Oculus Rift: The Next Step to Virtual Reality? Virtual reality has always been a dream in the sci-fi genre, but it may be closer than we think. The new Oculus Rift promises immersive gameplay through the use of virtual reality and already has a strong start in a new, innovative technology. Although the Oculus Rift is not out yet, there is a lot of support behind it, as it was Kickstarted with 2.4 million dollars. In fact, the demand is so high that a development kit (an early prototype of the consumer version) is already available for pre-order. This kit is aimed only towards PCs with a DVI video input and a 720p resolution. The DVI output can be converted to HDMI using an adapter, but VGA is not supported. Some may be worried about how their eyes will react to the product, as it attaches itself to the head and provides a visual directly in front of their eyes, but the company promises that it will cause little strain, due to its different functionality, owed to the developments in optical science. However, those who wear glasses may be troubled, as the Oculus Rift is meant to be very close to the eyes.. However, the company is interested in changing the design to accommodate those who wear glasses, which should not be a reason to discourage others from buying this. 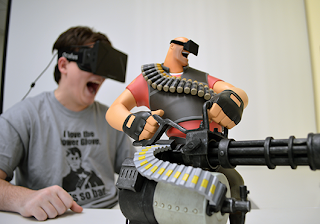 Team Fortress 2 and Hawken have both been announced to support the Oculus Rift, with more developers gaining interest in integrating this virtual reality function into their games. 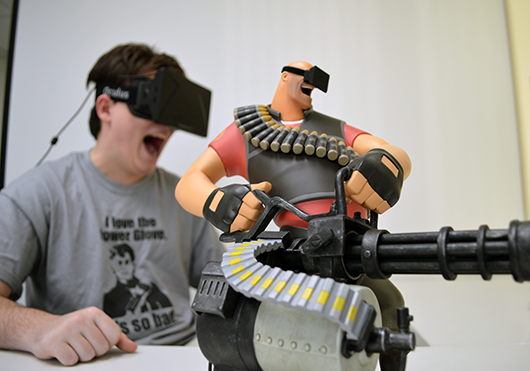 With a high attention gauge in the community, it’s doubtful we won’t be hearing about the Oculus Rift anytime soon. Although it may not be exactly like the virtual reality we've seen in sci-fi movies, there’s no doubt it’s coming closer than we think. What’s your opinion on this next step in virtual reality? Tell us in the comments below.